Iyengar yoga can change not only the way our bodies work, but also the way we think about and relate to our bodies. 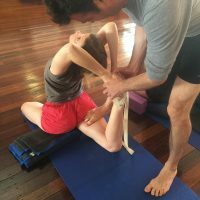 Learning how to work with our bodies is a key aspect of progressing in yoga – and as women we are presented with an opportunity to develop an increased self-awareness every month during menstruation. Knowing how to practice yoga during your monthly cycle can generate great balance, strength, energy and confidence. Hasu’s menstruation workshop next week provides an ideal space in which to learn how best to practice yoga during menstruation and work towards achieving physical wellbeing, emotional stability, and mental alertness. Of course, many of us have had a difficult relationship with our bodies when it comes to menstruation. Some women feel irritated by it – resenting their bodies because their activity is restricted. Other women try to ignore their bodies at that time of the month, carrying on in full swing. In our culture menstruation remains a taboo subject and that has meant we haven’t necessarily been exposed to opportunities to address this significant part of our lives. The philosophy of Iyengar yoga is one of integration – that’s why in the Iyengar system we see it as important for woman to avoid certain postures during their cycle and favour others, in the interest of allowing the body to achieve its natural function at this time. Women who have attended classes at our school will know the benefits of practicing yoga during menstruation first hand. For many the urge is to stay away from yoga during this time, however this is often just the time when yoga practice is most important. A menstruation sequence not only respects the function of the body, it can also alleviate immediate symptoms such as cramps and bloating. Over time, yoga can also lessen ongoing disturbances in the body such as heavy flow, irregular periods, or even cysts. The emotional disturbances that take place during menstruation can also be addressed through yoga, via a specific sequence of poses that rest the body, while still creating space and nourishing the internal organs. Hasu’s menstruation workshop gives students the tools they need to come along to class during their monthly cycle. 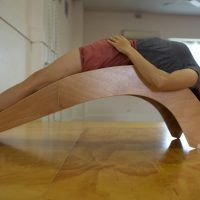 Hasu teaches how we can practice yoga during menstruation in a way which will help us feel more balanced not only during the cycle, but before and after it as well. It can be such a rewarding and strengthening experience to become more aware of the needs of your body – and be able to meet them in a way in which fosters health, well being and calm. Sign up to our Newsletter below to stay informed about upcoming Menstruation Workshops. 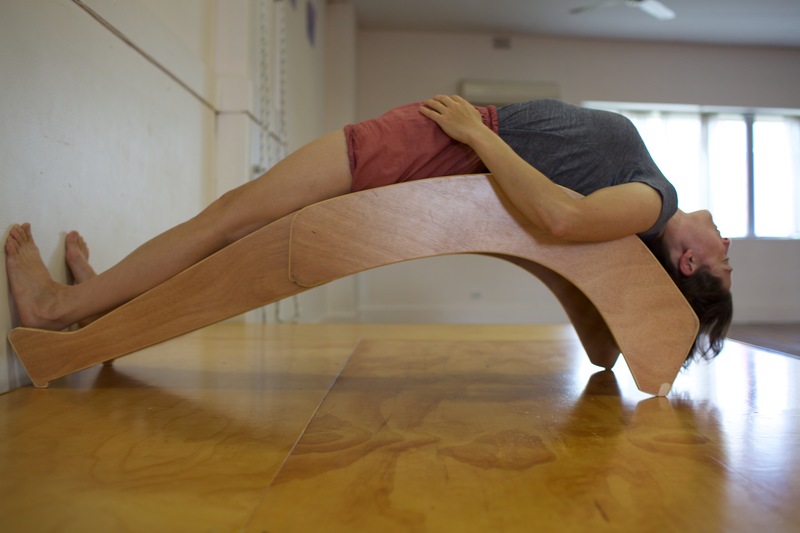 Sign up below to stay in touch with all that is happening at Marrickville Yoga Centre. We respect your privacy and ensure your details will not be passed on to any 3rd parties. I’D LOVE TO DO THIS WORKSHOP WHEN YOU RUN IT AGAIN. I CAN’T MAKE THE 19TH. will be sure to do another at the beginning of next year. How Is Iyengar Different from Other Forms of Yoga?